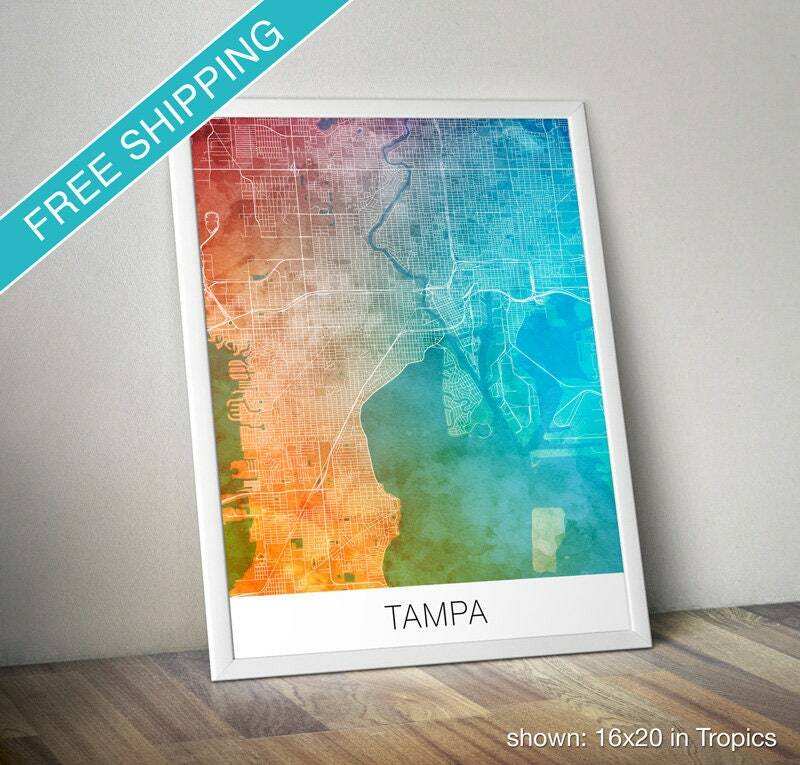 Beautiful print of the street map of Tampa, Florida, against a vibrant painted watercolor background. The lines of the streets, highways and railways form an intricate web and a modern artwork. Fast shipping, item just as described and looks great.